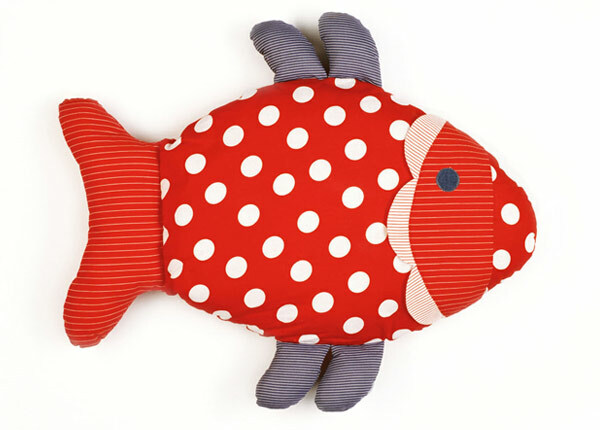 Oskar the fish, hoping to net a pre-school friend. This creature cushion&#8217;s bold colours and eye catching patterns will capture imaginations for a fair while. He can be named or blamed, cuddled or pummelled, befriended or upended, flung to or sung to, sat on or splat on.